My favorite type of craft is the kind where you can re-purpose and up-cycle ordinary items that might have otherwise been overlooked or thrown away. After our long New England winter, there was plenty of debris scattered around outside. One afternoon on my lunch break, I decided to venture outside and see what I could collect. I ended up with some leaves, rocks, and twigs. I’m sure people in my office were very confused as to what I was doing. With our Merchandising Department close by, I luckily have access to a plethora of crafty materials and tools, however, with this next craft all you need is pom poms (a crafty essential), a glue gun, and some twigs from outside! After collecting the twigs, I cleaned off the access dirt and leaves and then started to glue on colorful pom poms… and that’s it… I now have this adorable pom pom tree! 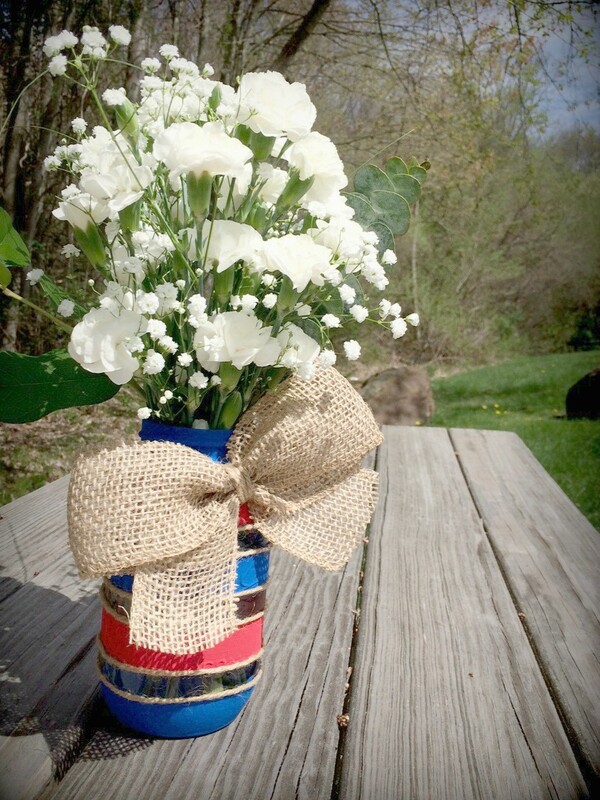 Since I love mason jars, I obviously chose to use one as a vase. 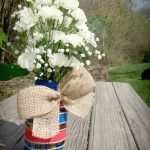 I created an even more fun and playful look by filling the mason jar up with leftover pom poms and making a pipe cleaner flower to adorn the top. 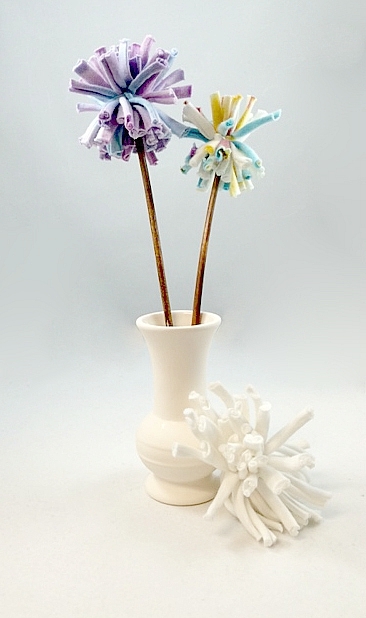 The flower is super easy to make, just twirl five pipe cleaners around your finger and glue into place. 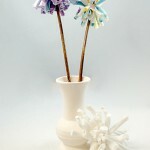 Twirl a last pipe cleaner into a small bud and glue in the center. 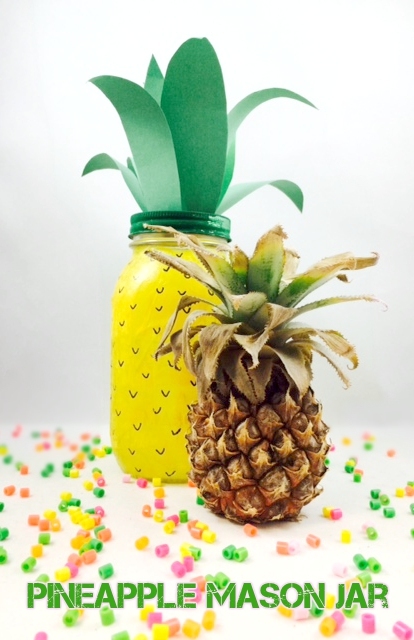 Not only is this project super easy, but it costs almost nothing to make and will jazz up any classroom, office, desk, etc! 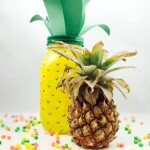 This entry was posted in Arts & Crafts, Summer Crafts, Tutorials and tagged Crafts, mason jar, pom pom, tutorials by S&S Worldwide. Bookmark the permalink.